• Asphalt patching cracks and potholes Calhoun St.
• Washington St Bridge Testing (OIT) - Street Division crews and students fro OIT Civil Engineering class will be setting up a work zone on the Washington St. Bridge. September 19, 9:00 AM to 12:00 PM for a Bridge Testing Study. Tuesday, September 19th crews will be changing out fire hydrants at St. Francis and Oregon Ave and Oregon Ave and Delta. Saturday, September 23rd, crews will be changing a hydrant at Lakeview and Oregon Ave.
Pelican City Water Main - This project is anticipated to be complete within the next few weeks with paving operations and final project closeout. Motorists should expect minimal traffic delays. Etna Street Water Main Project - Water main replacement project on Etna St between Shasta Way and Angle St. Construction crews and equipment are working in the roadway. Motorists should expect intermittent traffic impacts. The City would like to thank Citizens in advance for proceeding with caution in areas where crews are working. Should you have any questions, please feel free to contact the City of Klamath Falls Public Works Department at (541) 883-5363. 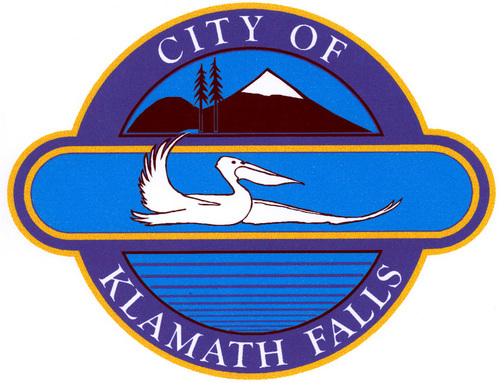 Press Release from The City of Klamath Falls.